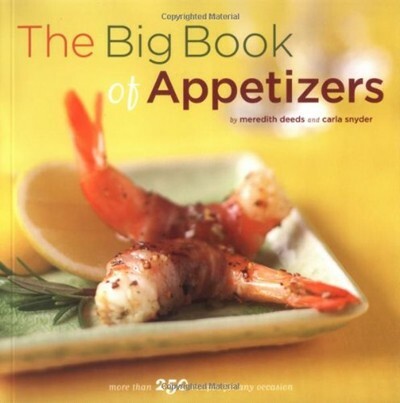 Everyone is always looking for new and interesting recipes for appetizers, and in this book you'll find hundreds of dips, nuts, nibbles, salsas, spreads, soups, dumplings, tarts, wraps, and so much more! From ultra-simple hors d'oeuvres like rosemary olives and marinated cubes of feta cheese to hearty sweet and spicy lamb meatballs and finger-friendly over-fried chicken lollipops to enough beef loin with horseradish aioli and ham and Gruyère strudel to serve a large crowd, this will easily become everyone's essential cookbook when planning a party - big or small. The authors give plenty of menu suggestions making it easy to match the food with the event, whether it's a small spring fling, outdoor picnic, or Super Bowl party. A handy Find It Fast index organizes recipes in helpful categories like low-fat, vegetarian, or super-fast-to-prepare. Thirst-quenching drink recipes round out this ultimate guide to perfect party food.